In this Dharma talk, Ajahn Brahmali discusses 56th sutta from the Samyutta Nikaya: Dhammacakkappavattana Sutta; "Setting in Motion the Wheel of the Dhamma." A talk given at the Buddhist Society of Victoria (BSV). Click here to read SN56.11 on Sutta Central. "The famous first discourse, taught at Varanasi to the group of five ascetics. It begins by rejecting the extremes of asceticism and indulgence and recommends the middle way of the eightfold path. Then it defines the four noble truths and analyzes them in twelve aspects. It ends with Venerable Kondañña becoming the first person apart from the Buddha to realize the Dhamma," Sutta Central. We all have fears and anxieties that are difficult to overcome. Ajahn Cittapalo shares his realisation that fear is just a thought and how we relate to it causes us to suffer or not. 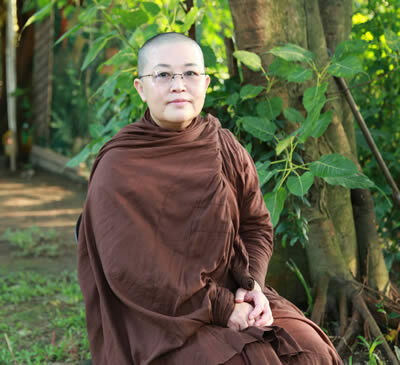 This talk relates to the short guided meditation Ajahn conducts directly before it. The Armadale Meditation Group doesn’t often get to see Ajahn Brahmali so when we do we are very grateful. Ajahn began the night by relating a story of a visit from Ajahn Ganah to Bodhinyanna Monastery. So as not to spoil the story I will stop here. Ajahn Brahmali told this story to highlight how meditation can change people and other's perception of them. We become happier, more patient and more relaxed, but it takes practice and perseverance. Ajahn then lead the full house through a very peaceful and relaxing 30 minute meditation suitable to both experienced and beginners alike. After meditation Ajahn opened to comments and questions before continuing his talk on how we change with meditation. The Buddha said there will be no successor after he passes away; instead let his teachings and your training be your leader. Ajahn Brahm explains how an organisation can function autonomously i.e. make decisions without having an absolute authority. A Dhamma talk and questions and answers session given by Ajahn Brahm on the 12th of October 2017 at Edgbaston Community Centre, in Birmingham, UK. We don’t see Ajahn Cittapalo often enough at The Armadale Meditation Group. Ajahn is particularly good at delivering instructions on meditation that are easily understood by beginners and those new to meditation. Ajahn began his talk tonight by making us all laugh when he used our headset microphone for the first time. This had the immediate effect of relaxing us all and bringing us into the present moment. Ajahn then commenced his talk and instruction by asking us to consider what our intentions and motivations are before we meditate or, in the case of “newbies”, (as he calls those of us who are fairly new to meditation), to look carefully at our intentions and motivations before we sit down and attempt to meditate. If we do this for a minute or two, and try not to place undue pressure on ourselves, the meditation becomes less of a task and thus a more pleasant thing to do. No-one wants to add another task to their day. After giving us instructions and describing the benefits of meditation to the “newbies”, Ajahn lead the group through a body sweep and peaceful meditation intended to help us simply relax and look inward. This meditation is well suited to beginners and those new to meditation. After meditation Ajahn continued his talk on those things that hinder our meditations. He also asked us to consider trying different meditations and even different teachers before giving up. Ajahn talked on those things that we humans allow ourselves to become addicted to, suggesting that an addiction to meditation would be more beneficial. Ajahn further encouraged us to look within our own minds to resolve those things that bother us so deeply.